If there’s one major stereotype about the Catholic laity that just won’t go away, it’s that Catholics don’t know the Bible. So often we hear from many non-Catholic Christians that Catholics are ignorant of Scripture. Sadly, there is some truth to that. Of course there are many Catholics who know their Bible well, and quote Sacred Scripture with ease. Not to mention that if you read any papal or magisterial document dating back to the Council of Nicaea in 325 and prior to it, you’ll see that such documents are soaked in Catholic Scripture. But for the average Catholic in the West, our familiarity with Scripture is less than perfect. Given this, it’s no surprise, then, that many Catholics are stumped when challenged on a particular Catholic dogma. Our Orthodox brothers and sisters have the same trouble. 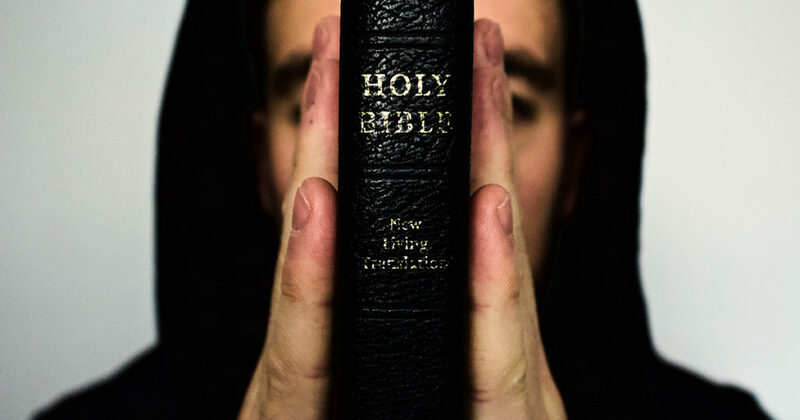 We are asked “where do you find that in the Bible?” If we’re being honest with ourselves, our response is often a blank stare, a shrug of the shoulders and we then silently endure a tongue thrashing by a non-Catholic Christian (or even non-Christian) who appears to know Scripture much better than we do. So that we may have a response to those who are ill-informed on a particular selection of Scripture or tenet of the Catholic Church, let’s take a look at where we can find some of the most commonly challenged beliefs in the Bible. Now while it’s important that we be intimately familiar with Scripture as it is God’s Word, we must also realize that the Catholic Church rests on what is called the “three legged stool” of Sacred Scripture, Sacred Tradition, and the Magisterium (or teaching authority) of the Church. If you take one or two of those legs away, the entire stool topples over. One can’t balance solely on one leg and then not expect to topple over. That why it’s important to note the non-Catholic Christian doctrine of “sola Scriptura”, or “Bible alone” theology is patently un-Christian, not to mention unbiblical! “hold to the traditions which you were taught by us, either by word of mouth or by letter” (2 Thessalonians 2:15). Indeed, as the Catechism of the Catholic Church points out, there are “two distinct modes of transmission” regarding Divine Revelation. “It is not from Sacred Scripture alone that the Church draws her certainty about everything which has been revealed. Therefore both sacred tradition and sacred Scripture are to be accepted and venerated with the same sense of loyalty and reverence” (Dei Verbum 9). That being said, here are a few of the most commonly challenged Catholic beliefs that can be defended using Scripture. “Truly, truly, I say to you, unless one is born of water and the Spirit, he cannot enter the kingdom of God. That which is born of the flesh is flesh, and that which is born of the Spirit is spirit” (John 3:5-6). “Baptism, which corresponds to this [the episode with Noah’s ark], now saves you, not as a removal of dirt from the body but as an appeal to God for a clear conscience, through the resurrection of Jesus Christ” (1 Peter 3:21). One can’t get much clearer than St. Peter’s words when describing the regenerative and salvific nature of baptism. But other selections from Scripture which point to regenerative baptism can be found in the following passages: Ezekiel 36:25-27, Acts 2:37-38, Acts 22:16, Galatians 3:27, Romans 6:4, and Titus 3:5. If anyone says, that man may be justified before God by his own works, whether done through the teaching of human nature, or that of the law, without the grace of God through Jesus Christ; let him be anathema” (Session VI: Chapter VIII; Canon I). “Therefore, my beloved, as you have always obeyed, so now, not only as in my presence but much more in my absence, work out your own salvation with fear and trembling” (Philemon 2:12). Other selections from Scripture on this topic can be found in the following passages: Matthew 7:21, Matthew 19:16-17, Galatians 5:6, Romans 2:5-8, and Revelation 20:12-13. While all Christians accept the fact that Jesus was born of the Blessed Virgin Mary, many non-Catholic Christians do not believe that Mary remained a virgin for her entire life. This typically stems from a misunderstanding of how the word “brother” is translated, in regards to the “brothers” of the Lord. For two thorough rebuttals of that specific charge, see these essays by apologist Joe Heschmeyer. Another misunderstanding leading to a rejection of the doctrine proclaiming the Blessed Mother’s perpetual virginity stems from a misreading of Matthew 1:25, which says that St. Joseph “knew her not until she bore her first-born”. For a rebuttal of the specific charge that this denies Mary’s perpetual virginity, and what “until” actually means, see this essay by Tim Staples. But for an easy defense of this doctrine from Scripture itself, simply read the episode of Jesus’ finding in the temple in Luke 2:41-51, which shows that Jesus is the only son of Mary. Also, refer to Matthew 27:56 to see that Mary, the wife of Clopas, is the mother of James and Joseph, the so-called “brothers of the Lord” from Matthew 13:55-56. Further evidence from Scripture regarding Mary’s perpetual virginity can be found in the following passages: Ezekiel 44:2 (a prophecy of her perpetual virginity), Luke 1:34, Mark 6:3, and John 19:26. This is not the language of metaphor. The word that Jesus uses here for “eat” is the Greek “trogon” which more accurately is translated as “gnaw” or “chew”. If you want to see Jesus talking symbolically about food, check out Matthew 16:5-12 and John 4:31-34, and then compare it to John 6. Furthermore, if we take Jesus’ words symbolically in John 6, then we find ourselves in a strange quandary. In Jesus’ time and culture, drinking another man’s blood was an expression that meant said man should be assaulted and persecuted. Was Jesus asking his disciples to assault him? Of course not, but if he were speaking metaphorically, then this is what he would be saying. For evidence of the symbolic meaning already attributed to the eating and drinking of someone’s flesh and blood in Jesus’ Jewish culture, see the following passages in the Old Testament: Psalm 14:4, Isaiah 9:18-20, Micah 3:3, and 2 Samuel 23:15-17. Also, refer to 1 Corinthians 11:23-29 to see how one could receive the Eucharist unworthily. If the Eucharist is only a symbol, how could one be “guilty of the body and blood” of the Lord? All of this, of course, is only the tip of the iceberg. Much more could be said on each of these four topics. And there are many other Catholic beliefs, such as Petrine primacy, the Assumption of Mary, and purgatory, which can all be defended by referring to Sacred Scripture. Nothing that the Catholic Church holds to be true can be contradicted by Scripture. Remember, it was the Catholic Church that compiled the Bible! But hopefully the next time you are asked to give a defense for the faith that you hold dear, you’ll now be a bit better equipped to refer back to Scripture in a confident manner. 2.) Saved by Grace Alone, Through Our Faith and Good Works: The reference Philemon 2:12 should be Philippians 2:12. I know the spellings look similar.